No, not that kind of snowflake - in fact, I can't remember it ever snowing in Cape Town - except for the little bit that very, very rarely falls on the top of Table Mountain. 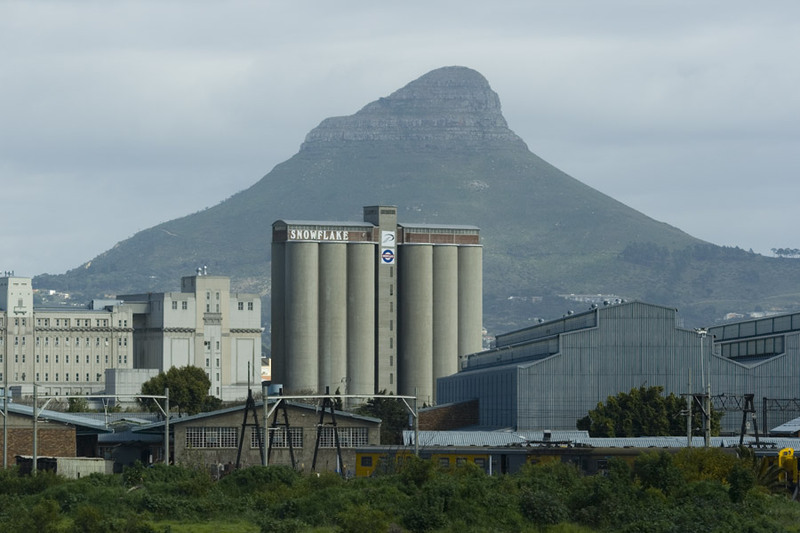 The Snowflake buildings that you see in front of Lion's Head are likely to be full of flour. Snowflake, with its tag-line "Too fresh to flop", is a flour manufacturer dating back to 1877. Here it's more or less a household name in flour, so much so that if you'd ask me to name another brand of flour, I doubt I could. Posted in General on Thursday, 6 September, 2007 by Paul.